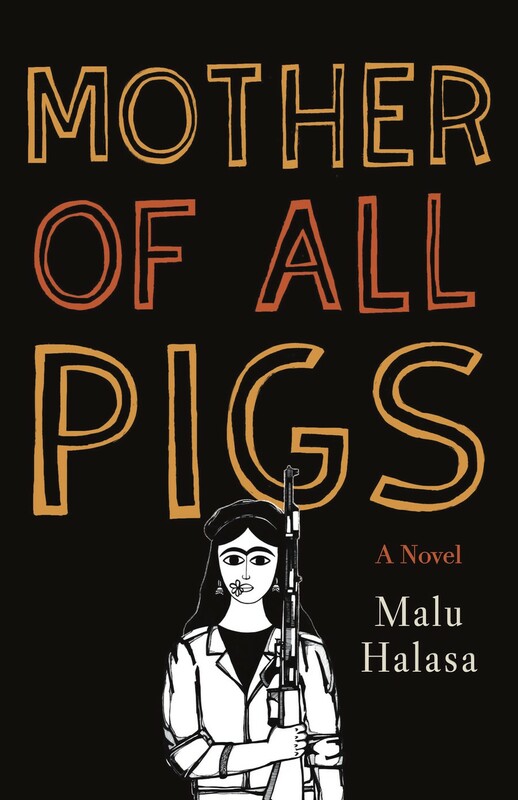 On the evening of November 3, in the intimate inner rooms of 57th Street Books, author Malu Halasa engaged in a discussion with Adam Morgan about her debut novel, Mother of All Pigs, as a part of the Seminary Co-Op’s Open Stacks podcast. Halasa discussed the journey of writing the book, how the book differed from her previous non-fictional works, and the current “moment of great transition” in the Middle East that is reflected in the literature produced there. Born in Oklahoma and raised in Ohio, Halasa is of Jordanian and Filipina origin and has spent a significant part of her career writing and reporting in and about the Middle East. Halasa’s Secret Life of Syrian Lingerie: Intimacy and Design is a 2008 collection of essays and interviews that dives into the “previously unknown racy lingerie culture in the factories of Damascus,” while Transit Tehran: Young Iran and Its Inspirations is a series of anthologies showcasing art and literature from Beirut and Tehran. However, as a writer and activist, Halasa knew that her non-fictional oeuvre could only go so far in altering people’s perceptions about the Middle East when her audience was primarily an academic one. With Mother of All Pigs, she explores how storytelling can inspire social change by appealing to a wider readership in a subtler, more empathetic way. Yet, as Halasa emphatically expounded during the event, her book aims to dispel the dust cloud of disillusionment and terrorism espoused by major media outlets about the Middle East. Instead, she succeeds in taking readers beyond the haze of stereotypes to reveal the cultural richness, dark humor, and complexity that characterize contemporary life in the Middle East. This exists particularly in states like Jordan, a semi-conservative space constantly challenged by the abrupt yet continual influx of refugees over the years. For such an accurate rendition of Jordanian life, Halasa maintains that her work is veritably an American novel, exhibiting a form of storytelling more redolent of Western literature than of the Arabic variety. However, as Halasa pointed out with excitement, this disparity is changing as exceedingly more Arab writers adopt more experimental modes of literary production, a movement spurred by contemporary political tensions. Available for sale online as well as at 57th Street Books, Mother of All Pigs tackles topics ranging from dysfunctional family dynamics and the patriarchy to revolution and gender roles. Yet it still manages to balance solemnity with a witty light-heartedness. Whether through valuable insight into the Middle East or through thyme-tasting nostalgia, Halasa’s debut has something to offer any reader: American, Arab, or both.